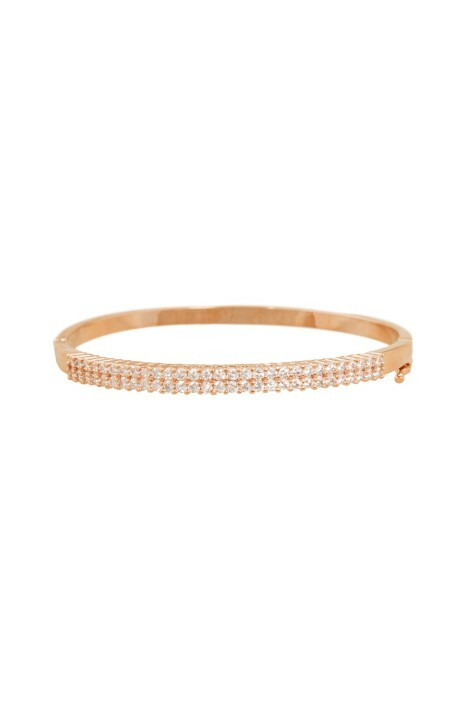 Elegant and classic, add this bangle to your wardrobe for an effortless style edge. With a timeless design, it is finished in a rose gold polish with two fine rows of diamantes for a little sparkle. Wear it around the wrist for a day out teamed with a tailored jacket or for a cocktail night in a little black dress!